The Brit is back in WorldSBK but how has he fared before? 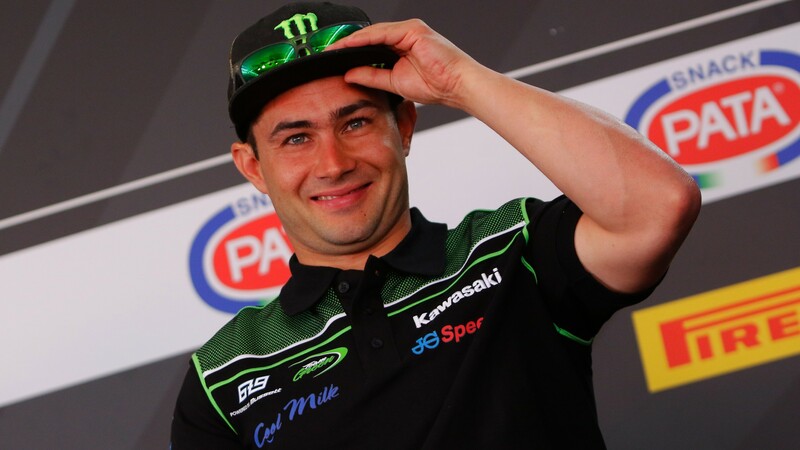 Kawasaki Racing Team WorldSBK announced on Wednesday that Leon Haslam will line up on the grid for them in 2019, and the British rider is delighted to be back in the MOTUL FIM Superbike World Championship full time. But this won’t be the first time we will have seen the 35 year old in the paddock, so we can refresh your memory. Hailing from a legendary racing family, Haslam has racing in his blood with his father Ron having competed in the 500cc World Championship, in which he secured nine podium finishes. Leon began racing in 1998, and made his WorldSBK debut in 2003 onboard a Ducati 998 RS in which he secured top six finishes. Continuing with the team into 2004, he secured a debut podium around Oschersleben in race two, but then chose to take a step back from the series. The ‘Pocket Rocket’ came back into the championship 2008 with HM Plant Honda for four races and secured his second career podium, this time at Portimao. His efforts in the two rounds were enough to secure him a full time ride in 2009 with Stiggy Racing Honda, and he had a competitive season on-board the CBR1000RR, with four podiums and regular top six finishes. But it was the 2010 season that ignited Haslam’s WorldSBK career, as he made the switch over to Team Suzuki Alstare. Winning the opening race of the season around Phillip Island and finishing second in race two, he soon established himself as championship contender. Finishing off the podium for the first time in the sixth race of the season, Haslam put up a season long fight to take three wins, 14 podiums and one pole position. However he was no match for champion Max Biaggi, finishing as runner up to the Italian by 75 points. Sticking in the WorldSBK paddock for five more seasons – moving to BMW, Honda and Aprilia – he was unable to replicate his success of 2010 but took 18 more podium finishes and two victories in the competitive class. 2019 will not be the first time Haslam and Rea have shared a garage either, as the duo were team-mates back in 2014 with the Pata Honda Official World Superbike Team; Rea finished in third overall whilst Haslam was seventh. Haslam has always been a consistent finisher in the WorldSBK class, and in his final full season in 2015 with Aprilia Racing Team – Red Devils he put on a strong performance to finish in fourth in the standings. Never far away from the paddock, the Derby-born rider appeared for one round in 2016 with Pedercini Racing around Losail International Circuit, taking a fifth and 11th position finish. 2017 saw some stunning wild card performances from the 35 year old, being very competitive around his local circuit of Donington Park with Kawasaki Puccetti Racing. He was able to take a podium finish in race one, but crashed out of the battle for third in race two. Always keeping his finger on the WorldSBK pulse, we have seen him in four races in 2018, but he had a difficult time with Puccetti’s ZX-10RR. Now heading into a new challenge and returning to a paddock he is very familiar with, he will no doubt be looking to get back to his competitive pace. Re-live some of Haslam’s classic races, or get ready for his reappearance in the paddock, all with the WorldSBK VideoPass.